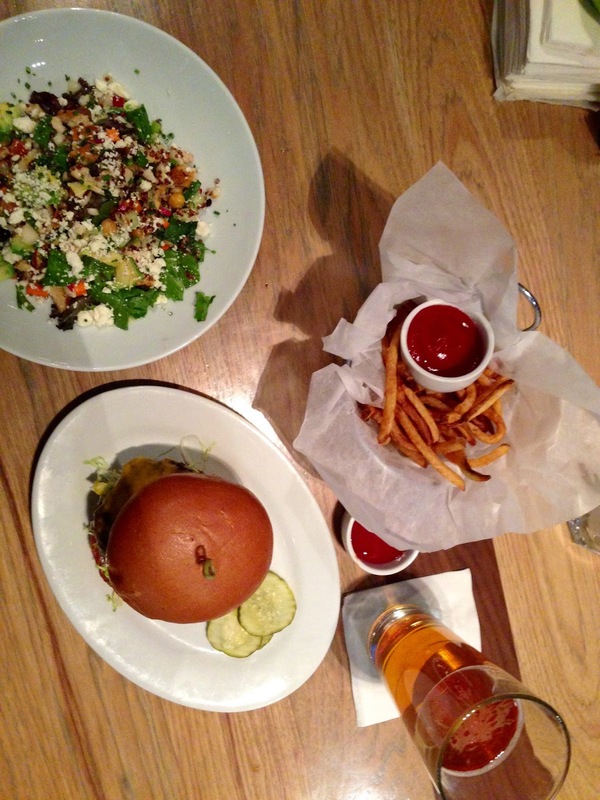 My husband and I went to Zinburger on Sunday and we were totally impressed not only by the service but also by how delicious the food was. This was our second time there (Nanuet, NY) was our first experience but only had drinks that time. This time we stayed local and went to the brand new location located at Garden State Plaza Mall there is a huge variety on their menu, I chose to eat the Farm salad and my husband picked a burger from the Bar Happy Hour's menu $5 burgers, $1 off beer, $5 cocktails and 1/2 off for wine bottles and by the way is all day Sunday! If you are near this area I truly recommend this restaurant, you won't be disappointed and if you don't like crowded restaurants come by Sundays since the mall is closed you will definitely find a good parking spot and a good table or place by the bar. Great post and the food looked delish! I don't think we have this where I live. Hmmm....it looks totally delish tho. The foodie in me would certainly give it a try. this place was amazing, they should open everywhere! Looks good. I think we have one here. I should try it soon..
Next time I head back home to NY, I am taking hubby to try this place. I love simple menus with wholesome ingredients. Looks tasty! can never go wrong with a good burger! yum!! I follow you on GFC and Bloglovin, hope you will follow me too! It looks yummy, yummy, yummy. Great post, Christina. I am so jealous!! If we had a wine & burger bar here I would absolutely be there every weekend!! So maybe it's a good thing we don't? Lol!! I love your blog and would really love it if we could follow each other! !